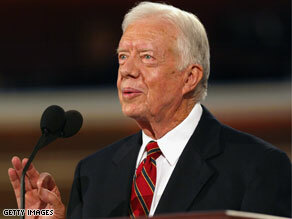 Former President Jimmy Carter is expected travel to North Korea on Tuesday to free a detained American. Washington (CNN) - Former President Jimmy Carter is traveling to North Korea to free detained American Aijalon Mahli Gomes, a senior administration official and another source familiar with the trip said Monday. Both sources described the trip as a "private humanitarian mission" to free Gomes, a 31 year-old Boston resident who was sentenced in April to eight years at a hard labor camp for illegally crossing North Korea's border with China and for an unspecified "hostile act." While President Carter contacted the Obama administration about the trip, no officials will be traveling with him and he "will not be carrying any message on behalf of the United States government," the senior official said. 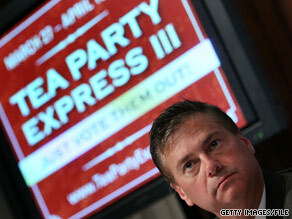 Mark Williams on Monday night defended using the term ‘Judenrat’ to describe New York City Mayor Michael Bloomberg. Washington (CNN) - Former Tea Party Express spokesperson Mark Williams on Monday night defended his latest blog posting in which he called New York City Michael Bloomberg a "Judenrat" and said that one of the journalists who wrote about it "has never read a book" and has "an appalling ignorance" of the Holocaust. In the blog entry, Williams wrote: "Politically correct Judenrats like New York Mayor Michael Bloomberg and (Manhattan Borough President) Scott Stringer and domestic enemies who are supporting the mosque - with open ties to Islamic Terrorist organizations and supporting states are doing nothing more than erecting a giant middle finger to be thrust at the victims of 911." In response to TPMMuckraker's Evan McMorris-Santoro story about the post, Williams appended his posting to say that Judenrat "is a derogatory term for the Jews who collaborated with the Nazis. Judenrats were Jews who turned in people like Anne Frank." "Bloomberg and Stringer are exactly that, selling out not just Jews but all Civilized Mankind to the 21 Century Nazi ideology of Radical Islam as represented by Ground Zero Mosque," Williams wrote. The American-Israeli Cooperative Enterprise defines the term as "Jewish councils" that were coerced by the Nazis to perform administrative duties as the German army took control of Poland and the Soviet Union. Kristen Davis, a former madam who claims to have provided prostitutes to former New York Gov. Eliot Spitzer, is now running for governor in New York. New York (CNN) - A former madam who claims to have provided prostitutes to former New York Gov. Eliot Spitzer says she is running as an independent candidate for governor. Kristin Davis, one of eight candidates who secured positions on the November ballot by filing independent petitions, lists herself as the gubernatorial candidate of the Anti-Prohibition Party, according to the New York State Board of Elections. "I am running on a platform of personal and economic freedom," Davis writes on her website. "I want to end the prohibition on marijuana, gay marriage and casino gambling to generate new revenues instead of raising taxes on already over-taxed New Yorkers." On her website, Davis describes herself as "the ex-Madam who supplied call-girls for Eliot Spitzer when he was both Attorney General and Governor." She says she filed 22,000 voter signatures with the board of elections to get on the ballot. 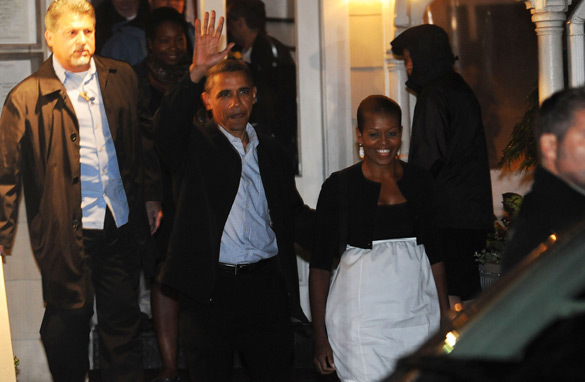 (CNN) - President Barack Obama and his wife went out to dinner Monday night, venturing to a Martha's Vineyard restaurant they also visited on their vacation last year. The Obamas, joined by White House senior adviser Valerie Jarrett and friends Eric and Cheryl Whitaker, went to The Sweet Life Cafe, described on its website as "one of Martha's Vineyard's fine-dining restaurants" featuring contemporary French-American cuisine. "Dinner is served in one of the intimate dining rooms of the restored Victorian home or in the romantic garden under the twinkling lights," according to the website. Orlando, Florida (CNN) - Florida Attorney General Bill McCollum made abundantly clear Monday evening that he's got some hard feelings toward Rick Scott, his free-spending opponent in Florida's Republican gubernatorial primary. After a divisive and rancorous intra-party battle that played out largely on the state's expensive television airwaves, McCollum said he would have serious reservations about supporting Scott as the GOP nominee if he wins on Tuesday. "I don't know Rick Scott well," McCollum told reporters at an Orlando campaign stop. "I met him for the first time at the Univision debate. I've never eyed him across the table except at the debate. He ducked a big statewide debate." "So when the election is over with, I expect to win," he said. "The question should be asked of him: Will he endorse me? Of course, if it were to come out the other way for some reason I would have to sit down with him and be persuaded. I see lots of problems with him, personally, right now. It would be very difficult for me." McCollum leads Scott by a slight four-point margin heading into the primary, according to a Quinnipiac poll released Monday. (CNN) - Democrats offered a "prebuttal" on Monday to a top Republican's planned economic address, scheduled for Tuesday. But, it seems, they had to look to the past to predict the future. On a conference call with reporters, Rep. Debbie Wasserman-Schultz, Democratic National Committee communications director Brad Woodhouse and Ohio Democratic Party chairman Chris Redfern pounded home the message that no matter what House Minority Leader John Boehner says on Tuesday, his policies would bring America back to "the last eight years." The three Democrats joined to present a chorus of dissention. "More of the same," Wasserman-Schultz said. "Maybe repackaged into something shiny. But not that it's going to look or smell or taste like anything different." Sen. Harry Reid released a new ad on Monday. (CNN) - Senate Majority Leader Harry Reid on Monday released a new television ad in which he takes credit for securing education funding for his cash-strapped state and slams his opponent for her hard-line views on the Department of Education. On August 10, Reid voted in favor of a bill that provided emergency funding to prevent teacher layoffs; President Obama signed the bill on August 11. 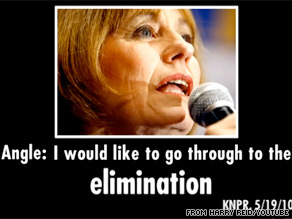 The ad uses Tea Party favorite Sharron Angle's own words to criticize her position on education. Angle told a Nevada radio station in May that she wants to "go through to the elimination" of the Department of Education because "it's not the federal government's job to provide education for our children." That's "just too extreme," according to the new 30-second spot. Florida Republican Senate candidate Marco Rubio said Monday that prominent Republicans are welcome alongside him on the stump. Orlando, Florida (CNN) - No longer a conservative insurgent struggling for money and attention, Republican Senate candidate Marco Rubio is working hard to win over the independent voters so crucial to Florida elections. But Rubio says he'll still welcome some of the conservative luminaries who endorsed him in the early days of his candidacy as he hits the general election campaign trail this fall. Asked Monday at a campaign stop in Orlando if he'd campaign alongside prominent Republicans like Jim DeMint, Mike Huckabee and Sarah Palin, Rubio said: "Absolutely." 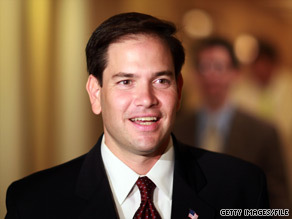 "Anyone who wants to work with us to accomplish the things we believe in, we're going to work with them," Rubio told CNN, outlining his firm opposition to President Obama's fiscal agenda. (CNN) - The American auto industry is on the rise again because of policies of the Obama administration that let American workers compete with the world, Vice President Joe Biden said Monday.